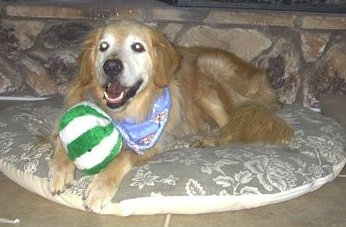 "Baxter" had been passed around from home to home before he came to rescue. 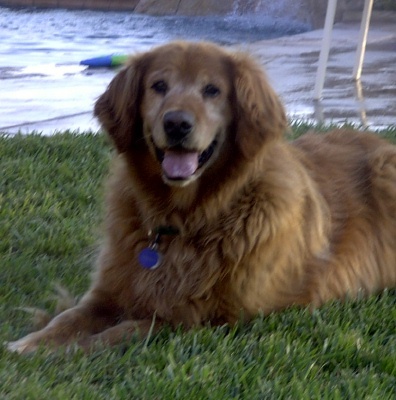 We knew his next home needed to be forever, and we are sure it will with the Hill family! 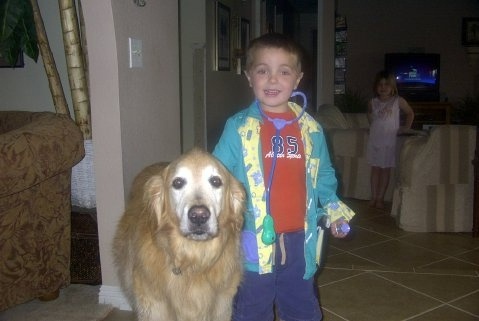 Baxter gets a "check-up" from the Doc! 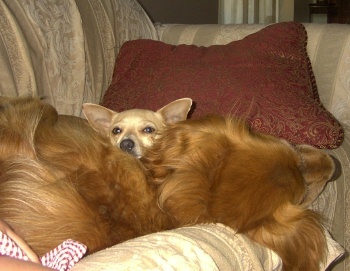 Baxter and his little Chihuahua buddy, Vinnie. 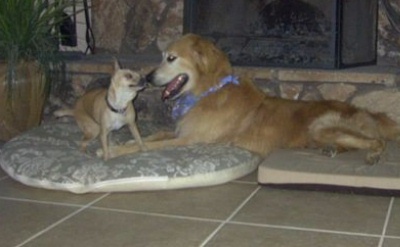 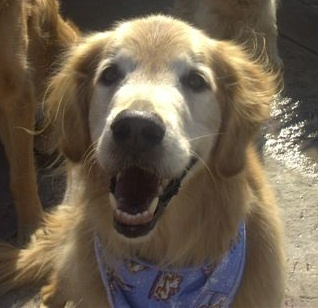 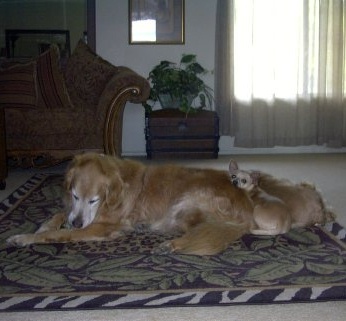 It seemed like this dog loving family needed another Golden, so they "fostered" Sam. 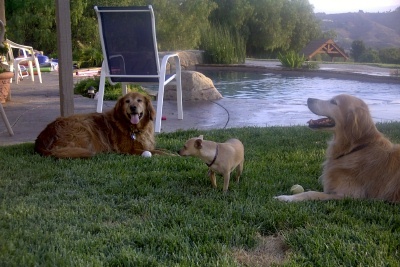 As expected, Sam was officially adopted by the Hills, much to Vinnie's delight.